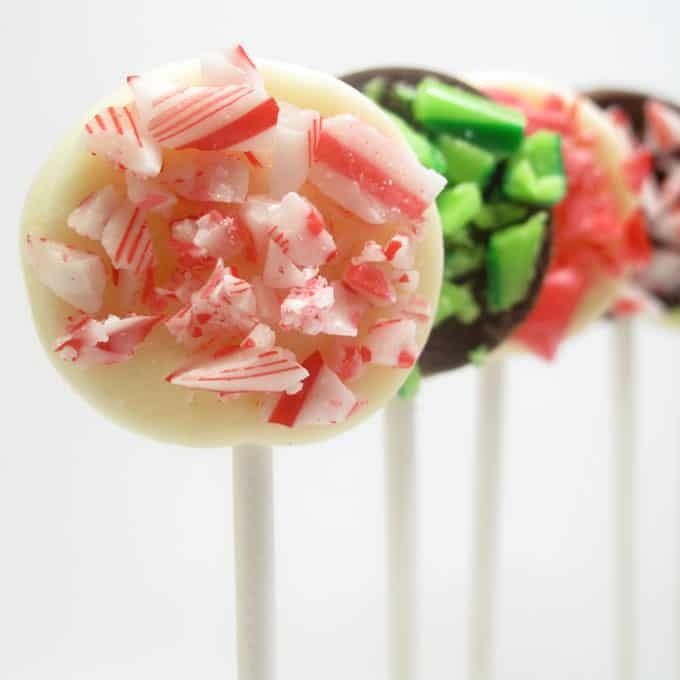 Chocolate bark pops: The peppermint chocolate bark you love on a convenient lollipop stick! Technically this isn’t chocolate bark, of course. It’s chocolate candy clay with crushed candy cane topping. But it’s the same concept as chocolate bark, just on a lollipop stick. Because everything is better on a lollipop stick. 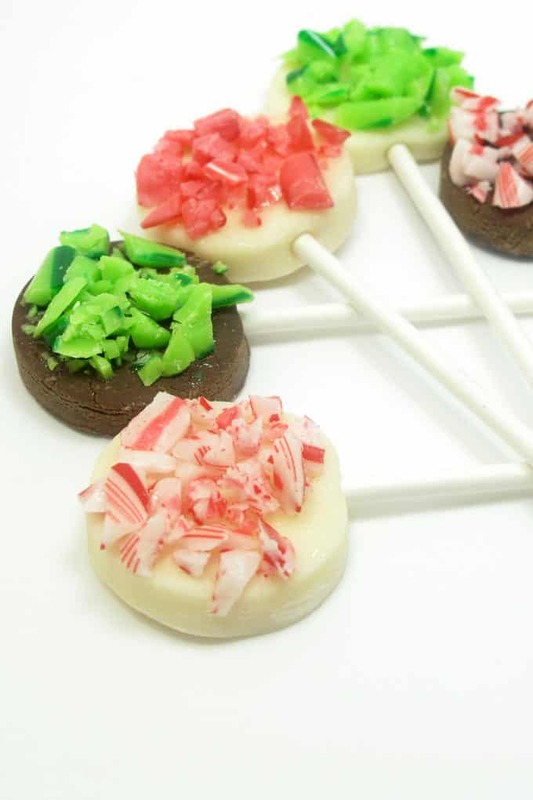 So this Christmas, make chocolate bark pops. 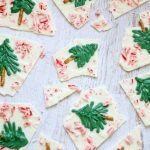 If you like this idea, be sure to check out these chocolate peppermint pops, or this Christmas tree chocolate bark. *Find the candy melts, cookie cutter (a circle this size may be part of a set) and the lollipop sticks in the baking aisle of the craft store. I used white candy melts, but you can use any color. 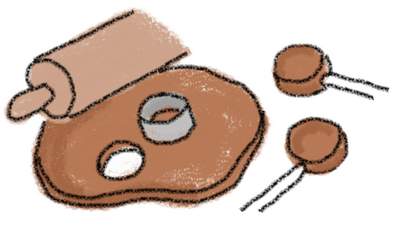 You can use a larger circle cutter, too. Place unwrapped candy canes in a Ziploc bag, working with just a few at a time. 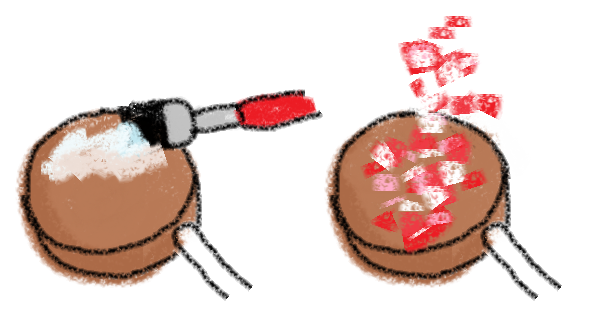 Use the mallet or hammer to crush. 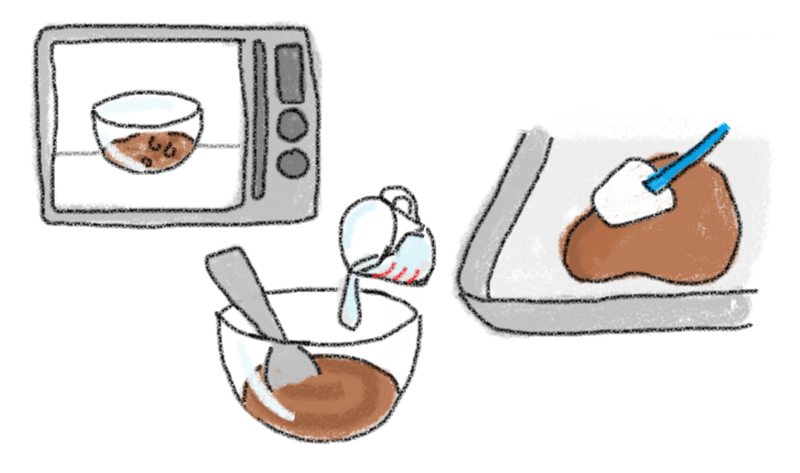 Take a small piece of the candy clay and knead until softened and easily pliable. Roll out about 3/8 inch thick between two pieces of wax paper. Cut out a circle and insert a lollipop stick. I suppose if you did a really good job spreading the candy clay mixture in the baking tray to just the right smoothness and thickness, you could omit the kneading, but I didn’t. Work with one pop at a time. 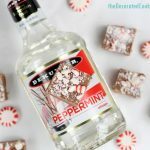 Brush light corn syrup on the surface of the pop and sprinkle immediately with crushed candy canes. Very cool.. I've never heard of candy clay. Is it mold-able just like clay? Could u mold it into something 3-dimensional? 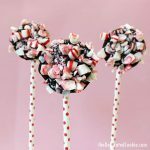 I should have known that you'd have some new sweet treats on a stick "up your sleeve"! Love all the variety! Thank you! And yes, Greta, you can. Not quite as user-friendly as fondant (it can crack a bit), but you can definitely mold it into 3-d things. I've done snowmen and lots of other stuff. I LOVE THESE!! Genius. I have a feeling these will be the "new thing". I'm gonna keep posting your fun stuff until you tell me not to! It definitely a great idea to give these treats as a gift for my nephews and nieces. 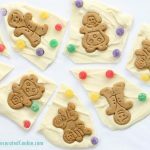 Children loves candy and I am confident they will love these! I could be reading this wrong, but in this recipe where you start explaining making the candy clay you don't mention adding the powdered sugar, vanilla etc. as it is in earlier candy clay posts. Is this a different recipe? What a clever idea! 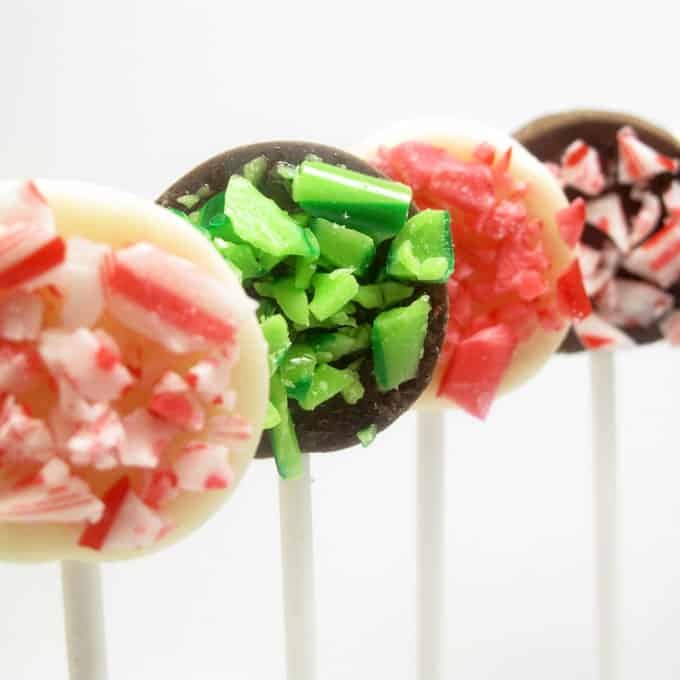 These would look great in our holiday cookie pop packages. Thank you for sharing. Yes Suzie! Candy clay is only two ingredients: chocolate and light corn syrup. 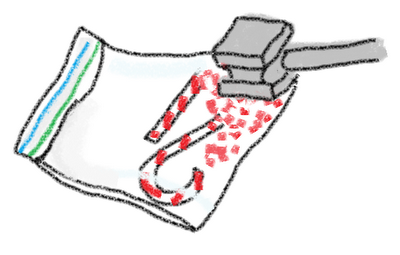 OR, a package of candy melts and light corn syrup. No powdered sugar or any other ingredients! Hence, super easy. You are SO right- everything's better on a stick. These are so easy, too. Even i could make them pretty with a bit of luck (my husband says i'm a 'taste' cook, not a 'presentation' cook LOL). so clever! LOVE this idea!! Very cute. and festive. Love them. OMG!!! How cute is that!!!! Love them!! I posted a link on my blog at http://www.cutefoodforkids.com ^,^ Hope it's ok!